EzyCal is the status bar calendar for the new year 2017, you should have it to be productive then previous to achieve bigger goals. It is a system of organising days for social, religious, commercial or administrative purposes. It is gregorian calendar with natural language event and reminder creation, beautiful calendar views, and reminders app you’ll ever use. 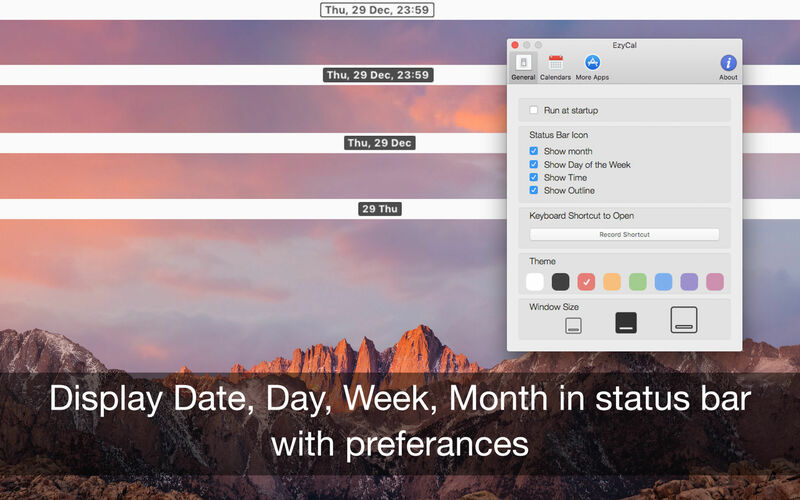 iStat Menus 4.03 – Monitor your system right from the menubar.